Formed a band, We Formed a Band.. Look at us.. 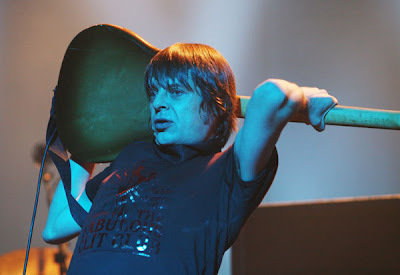 The Stone Roses/Primal Scream bassist Mani. Well, it’s time for what one of my tutors would call an ‘inappropriate analogy’. To hell with it, they didn’t have any Art Brut lyrics to use when writing titles. Yes, I’m drinking at the well of pretension today. And it tastes good. The subject of this piece of overstretched thinking is advertising (and its denizens) as a band. This has already been brought up by the erstwhile Mr Davies, but I thought I’d give it my own thoughts. Especially after going to a few gigs last week. Planners then. We’re quite clearly the bassists of the whole operation. Making sure the work hums along, is in rhythm with what the client and the audience want. Bands/Advertising can work without us (Sony ‘Balls’ is clearly an extended guitar solo of creativity), and we must never forget that. But with us, we can make the work groove along. Also, perhaps most importantly – when we do our job, you barely notice that we are there. The work works, it’s on the right brief, and products/albums get shifted. We’re the creative midwives of the whole operation (thanks to Craig M for that description), who are often in the background. Plus – bass solos rarely work (unless you are Andy Rourke or Mani Mountfield). Production/Creative Services…let’s think about them. I’d say they are the drummers in our advertising band. Driving the work through with their thumping beats. Without these guys, the world falls apart. And their ability to make even the most outlandish request fly (through their extended drum soloes on the phone to suppliers and others) means they are essential. God, we need these people. Often the most understated/lovely people in the advertising band. The ad band in force. I’m quite happy to be Rourke. Listen to the Queen is Dead for proof of that. Account Handlers are the vocalists in our band. Without their melodious vocal stylings to the client, even the most flamboyant piece of guitar work/creative execution wouldn’t get into the hearts and minds of the record buying public. I’m not sure if the lyrics would sound the same if not for these guys. It’s got to be well projected to convince a weary record buying public, who are used to the NME trumpeting them as the next big thing. Finally, Creatives. These guys are the lead guitarists and the lyricists of our little outfit. They make the sonic landscapes that everything comes from. Sometimes at odds with the way the vocalist sings their lyrics, they are nonetheless vital to providing the hooks in the band. Sometimes they can get overly flamboyant, and are pulled back by the rest of the band, but when they collaborate, the music has a good beat, and you can dance to it. 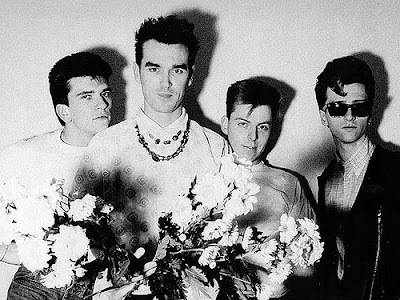 (NB: Yes, I know The Smiths don’t quite fit into the ad band as Morrissey wrote the lyrics, but ah well). Where do you stand on “Pop Idol”? Creatives selling out, I’d say.How about you Marcus – what do you think? Nice analogy.But very very true Lauren…Still though. Can we start the PiL of adland? Surely we must. Nice job there Will, I`d only add the media guys maybe as the managers trying to arrange when and where the next gig would be. I wonder how a digital agency band would look like? It’s all about Mani, Paul Simonon or Andy Rourke for me.And Lauren – how’d you know that, eh? *Hides his pair*.Daniel – Yes, Media would be that, definitely.A digital agency band wouldn’t be that different, but the technologists would have to be rhythm guitarists, occasionally stealing the show from the lead.